There are daily flights from Nadi International Airport to Taveuni Airport (Matei). All bookings should be made with Fiji Airways. 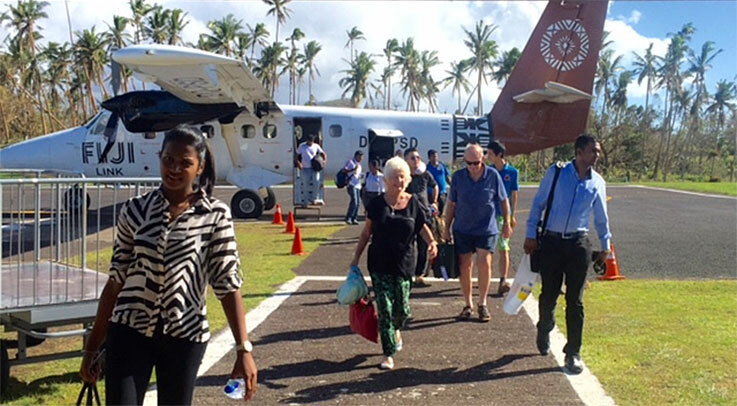 Additionally, Fiji Airways and Northern Air operate regular flights from Suva to Taveuni. Note that Northern Air operate charter flights for larger groups. If you’d prefer to go by sea, there is an overnight ferry from Suva to Taveuni (via Savusavu) which operates on Monday, Wednesday and Friday. As transfers are included in the package. Our manager, Isoa, will pick you up from Taveuni Airport which is only five minutes away by car.